The Soul's Splendor Arrangement is a rich display of the love shared throughout the life of the deceased. A beautiful tribute to honor your special relationship. 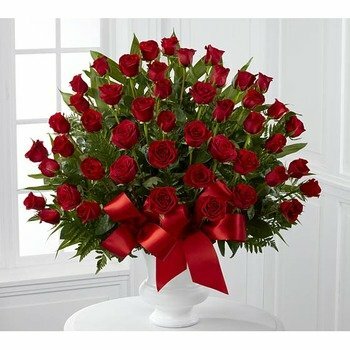 * We love 1st in Flowers - tried another company because they were giving money 'back' to a charity and had a miserable experience. With 1st in Flowers, we never have to wonder, our order gets there right on time and people always love it! * User friendly site with a genuine feel for customer care.